Thanks to the support of our first backers we managed to raise the funds we needed to create the first line of T-shirts. They have been delivered and we are now preparing the following steps. Among them - create an online shop so that we can have a real online place to present the different designs we created, as well as a place to gather the comments and ideas of the community that support us. Since we have quite a lot of ideas, I'm sure we'll find time to create a EUROSCEPTUX line for the ones who do not want to jump in the boat. Our anticipation is that the online shop might open in October 2012 and we definitely hope that the people who came on this page will come back in time to have a look at the collection. We are Charly and Gauthier and we met during an Erasmus exchange program in Prague. 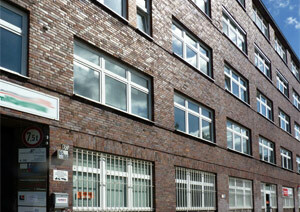 Some years later we came to work in Brussels and we stayed there. We are both french and we had the opportunity to travel and live in Czech Republic, in Finland, in Belgium and even in Reunion Island, 10000 kms from continental Europe. 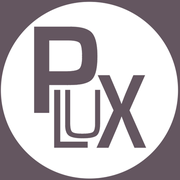 What we did is to create the first T-shirts on Europe, and we called it the P-LUX Project. We wanted them to be nice looking T-shirts that we could wear in the street. T-shirts that anybody could wear, offer to their friends and store in their wardrobe. T-shirts that will use the symbols of Europe and turn them into something graphical and fun. We decided to produce everything on the continent, and make it a REAL European product. 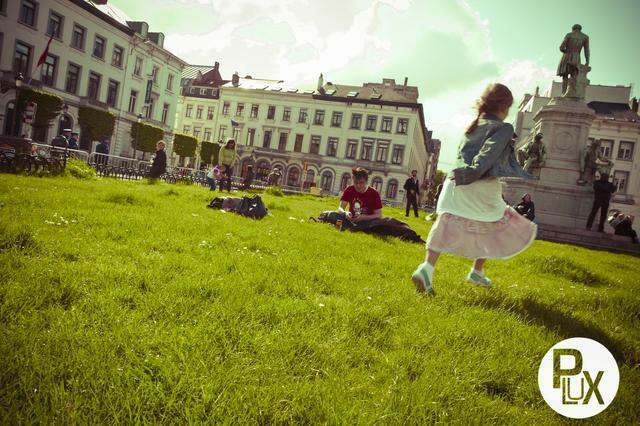 We think that the European Union (EU) is the first real concrete experiment that tries to connect 500 million people. We also think that the EU has lots of problem to communicate. It is quite normal, when you try to put 27 different countries around a table and speak with one voice. Just imagine when you put 27 of your own friends in the same room, trying to decide where to go for dinner. So we decided to make something different and communicate without languages and words and translations. We wanted to just have nice-looking designs and images. The United States of America started there decades ago, and created some common symbols. Then they started to stick their flag and brands everywhere in the world. Outside of Europe, people understand what is the European People. Outside of Europe people respect this idea to try to cooperate between such different nations, with so many languages and so many national heroes. The problem occurs for Europeans themselves when they look at each other and do not find any common thing to relate. So let start something different. Not a brochure, not an advertisement, not something built by people who never traveled through Europe and the world. Something fresh that will not impose to people an idea, but a creative, evolving way to share our interest for Europe as a continent. 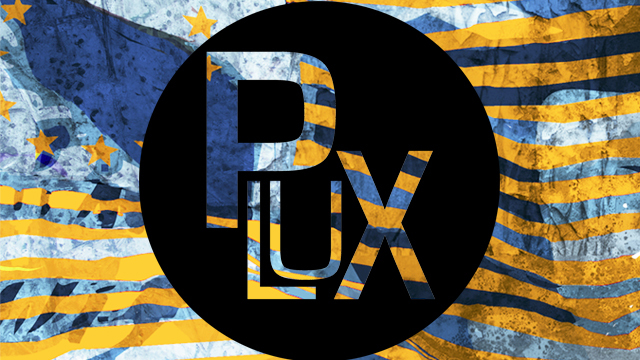 This is P-LUX, an attempt to talk about Europe, and to collect the ideas, the feelings and the images of us, Europeans. And for that we need your help, your advices, your guidance, your ideas. Because we are two guys with a lot of energy and we have the support of talented people who believe in our idea. If you think this is a good idea, help us reach our funding goal. Buy yourself a T-shirt, buy yourself an idea, and join our first backers. We will never forget the first people who got this message and what we are trying to achieve. This is a way for Europe to try something new to talk about itself. European College, so we can finally wear something else than US T-shirts ! 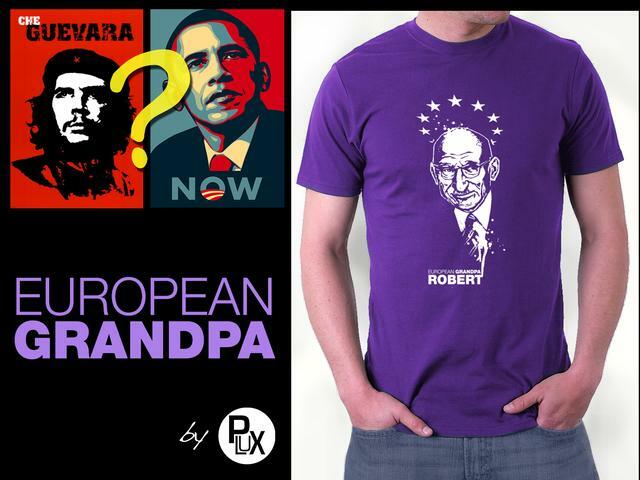 European Grandpa, the founding grandfathers of Europe ! 1. First, the funds we will collect will permit to launch our main collections of T-shirts, posters, postcards and stickers. The fabric, models and printings can only be sold at a correct price if we reach a critical mass. Since we use 100% organic cotton, a swedish T-shirt brand and we print in Germany, the costs are slightly higher than a basic T-shirt made in China. This is our choice of quality over quantity. 2. Secondly, we benefited of the work of 2 very talented graphic designers who trusted in our project. We want now to give them something back. They made a fantastic job and provide us a great graphical input in order to give life to the first shirts. This operation is a way to reward them. 3. Thirdly, we want to create an online shop in the form of a nice-looking website. We want to translate it in the most languages we can and we want it to be also a place for sharing ideas and inspirations on how we feel Europeans. So the remaining funds will be dedicated to this big project of an attractive website. We are Charly and Gauthier. After becoming friends abroad, we came to work for the European Union in Brussels in 2009. After quitting the institutions and a few different jobs later, we brainstormed to find a way to improve the perception of people on the EU. It came in the form of a t-shirt brand, with cool design inspired by the European Union and of course a great quality of product. We had the luck to find 2 graphic designers who wanted to get involved in our project, and who designed a complete collection of shirts for us on their spare time. Charly comes from Reunion Island, a small french remote island close to Madagascar. It is part ofEurope, but 10.000 kilometers down south ! 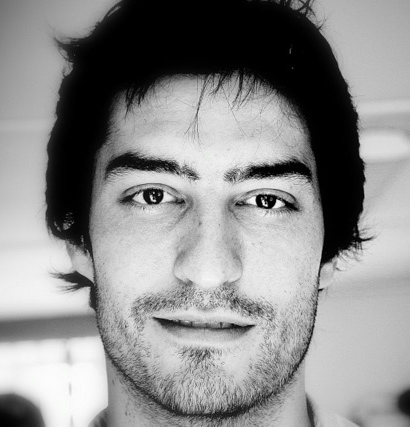 After working a couple of years in the European Parliament, he went to travel with his girlfriend Paloma, a Southern Spanish girl, for about 10 months. They crossed Asia from the South of India to South Korea and then jumped in North America. Since he is back in Brussels, Charly got involved in several projects revolving aroundcommunication, and he enjoys it a lot. 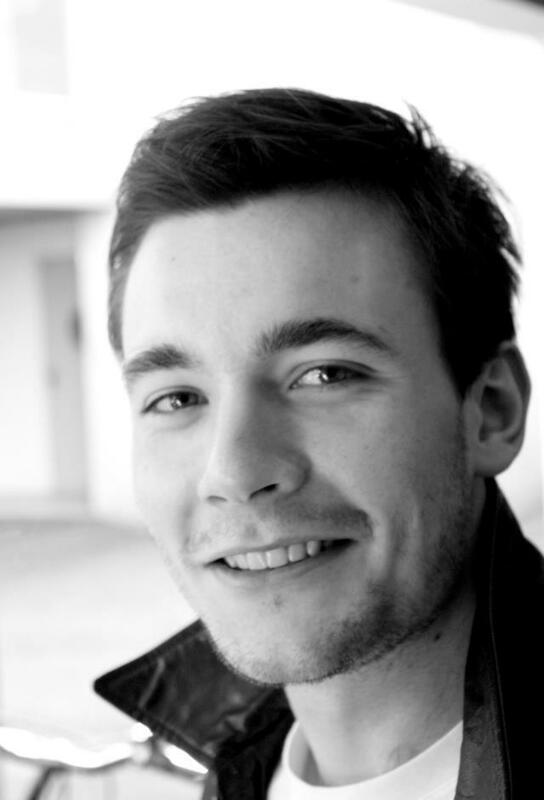 Gauthier is from the extreme north of France (which is somehow almost Belgium :-) and went toBrussels to study politics. Always willing to work for Europe, he decided that the first step he had to take was to actually know the countries composing the continent. He backpacked Europe from Helsinki to Bucarest, Lisboa to Berlin, passing through Rome, Athens, London and a bunch of small villages. In Brussels he worked for NGOs, Business Federations, the European Parliament and now in a consultancy just right close to the Place du Luxembourg. s among the first people to call for a renewed partnership between France and Germany, just after WWII. 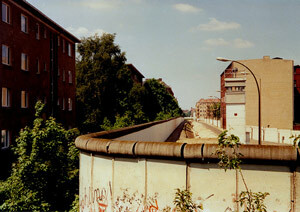 For Europeans at the time, it meant to be extremely brave, acknowledging the fact that we all lived on the same territory and the borders separating the two countries were just a matter of perception. This familial history makes Gauthier a fine mixture between a young european traveller and the whole roots underlying the European project.